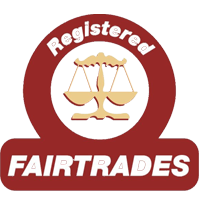 Universal Builders Wrexham came to my rescue in 2013 having sought guidance from Flintshire CC trading standards. The range of work carried out was to redo substandard, unfinished interior work left by the previous builder the work executed included a complete rebuild/refit of the recently installed shower cubicle and tiled areas in the kitchen, completion of numerous unfinished jobs to the new fitted kitchen including adjusting and reconnecting waste pipes and washing machine. There were many smaller jobs in most rooms inc shelf fitting, door hanging and boxing in pipework. Finally a full overhaul of electrics was conducted to rectify a number of safety problems. The team were at all times competent, reliable, hard-working and very respectful of my property. The customer service was faultless and pricing was most competitive when compared to other quotes. I have every confidence in recommending Universal to all persons requiring their vast range of expertise. With grateful thanks, I now have my life back! I have worked with Universal Builders on a number of refurbishment schemes over the years in my capacity as Project Manager and Client's Agent for Lifeways Group and previously Inclusion by Design Ltd, which has now been incorporated within the Lifeways Group of companies. They have been used as Principal Contractors on refurbishment scheme up to £300,000 or so in value and also as maintenance contractor on a number of properties within the Lifeways Group portfolio for aspects of building maintenance from mechanical and electrical through to joinery. During that time I found them to be professional in their approach and timely in their responses. They have been non-confrontational or contractual in all dealings with us. They have worked within tight program constraints and have been proactive in solving issues both with design and construction elements that have inevitably occurred during the process. In their capacity as maintenance contractor they work within occupied properties and they have been both courteous and respectful. They continue to work for the Lifeways Group and I would have no difficulty recommending them to similar schemes in the future. Just a note to ay thank you for the work carried out recently at the above address and at the agreed price. The reconstruction of the ceiling and the tiling were carried out promptly, cleanly and above expectations. Your workforce were experienced and courteous and I will be recommending your company to my friends and neighbours. I am 69 years old and suffer from severe arthritis in my spine and knee joints. I live with my husband, aged 72 and my granddaughter, aged 21. We have lived in our house since it was built 50 years ago and up until recently it had its original bathroom including a 50 year old cast iron bath. Unfortunately, the bathroom is in an extremely small place and the shower was installed over the bath, meaning I had to climb over the bath to have a shower. I found this extremely difficult and painful and would often bang my knees making the pain worse. A good friend of mine recommended that I contact Universal Builders as they were extremely good when they did work for her she couldn't praise them enough, I got in touch with them and asked them to provide a quote for the bathroom. As my husband and I are getting older the firm suggest we have a wet room and talked through step by step what could be done. At first, I was a bit unsure and worried about the price, but the quote was reasonable and definitely worth it from the result. Throughout the refurbishment they worked extremely hard, only stopping every few hours for a cup of tea and something to eat. They were very friendly and helpful and a pleasure to have in my home. After the job was finished, they tidied everything up, leaving no mess for myself or my husband to clean. I am now so proud of my new wet room and I honestly cannot believe the results. Everyone that comes to my house has commented on the improvements and are impressed with the change. I would definitely recommend Universal Builders to anyone, it is nice to know that there are still some hard-working builders that care about customers and take pride in their work. We recently used Universal Builders to fit our new family bathroom. We went from a family member recommendation who had used this company previously. They were very quick to visit and get us a competitive quotation for the work. The quality of their work and professionalism of the staff was excellent. They do themselves set high standards for the work they do and their attention to detail is clear to see. Each day they cleaned up after themselves and left everywhere very tidy. We are more than pleased with the work they did for us and will not hesitate to use them again for other building work in the future. I have used the services of Universal Builders over the past 10 years on a wide range of projects both commercial and private, the most recent being referred management of my mother-in-law's recently purchased bungalow. The works included new kitchen and bathroom, creating an en-suite wet room with adapted fixtures and fittings, altering the floor plan of the property, updating electrics and plumbing including fitting a new boiler. The final product was excellent. Universal Builders have provided a variety of services in residential homes of people with autism, learning disability and complex and challenging behaviours, supported living residencies and individual homes. Their conscientious and committed team of tradesmen have worked in a variety of challenging services always rising to the challenges and working in a sensitive and understanding manner. - Transforming two semi-detached Victorian properties into one eight bedroom residential service for people with autism, complex and challenging behaviours, ensuite wet rooms were created for all bedrooms within the property and a variety of assistive technology was also introduced including motion sensors and bed monitors. - Creating an unbreakable bathroom for a gentleman with a penchant for destruction. - Developing a safe space for a person who would self harm. They have also provided a general maintenance and emergency call out service for three residential services and three supported living houses. Through the services they have developed an excellent understanding of how to work in the homes of people with autism and learning disabilities and challenging environments and the need to carry out any of their tasks in a timely fashion ensuring as little disruption to the people as possible. The team at Universal are very creative when it comes to problem solving and their joint experience has helped on many occasions. My experience has been positive throughout and they have proven to be truly Universal Builders. We can unreservedly recommend Universal Builders to undertake any building or renovation projects within your property. The company supported us for many weeks in a major renovation to our property, which included new bathrooms, new kitchen, removal and rebuilding of walls, electrics, and re-plastering, and so much more. All elements of the build was discussed and reviewed at each stage, helping us to feel more confident with our project. The team were a pleasure to have in our home, and always cleared up after the day's work. They are a hard working and trusted team whose years of experience truly manifests itself in the excellent outcome of all the projects they undertook for us. We have worked with Universal on a number of projects within the past 10 years and found them very satisfactory contractors. Pricing has been good and timing excellent. On-site co-operation has been good - changes and variations, which always occur, are an important test, and satisfactory solutions have always been found. Please feel free to telephone me if you would like further information. I am writing to provide a reference for work conducted by Universal Builders on behalf of CAIS and Shelter at our Wrexham Young Persons Project. Universal builders have provided us with a first-class level of service. They have responded to our needs swiftly and have been able to accommodate our needs at all times. We have found the quality of work conducted by Universal Builders to be excellent and the conduct of workers on site to be considerate and mindful of the working environment. We found the pricing of works completed by Universal to be Universal Builders to be reasonable and communication to be excellent at all times. I would highly recommend your services to any other customer based on our experience. We know we can rely on Universal builders to assist us with all our building maintenance needs.